One of our offers as for the shape and size are corner bath units in the regular form. Our catalogue includes eight models in this line, namely: Wimmera, Love, Mona Lisa, Sigma, Glamour, Eden, Manoa and Beja. As you can see this variety makes it easy to find the most suitable model. 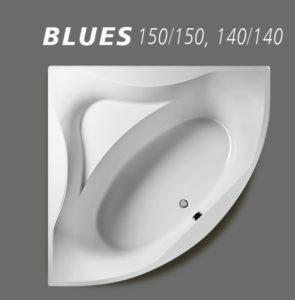 Our bathtubs are available in hydromassage or basic configuration? all functions are customized to individual needs. Each bath unit is characterized by a deep bathing well allowing full immersion of the back and legs – a feature not so obvoius among models available on the market. Regular corner baths are suitable not only for large bathrooms, they will also match smaller, more demanding spaces. A regular corner bath is characterized by identical length of the sides aligned to the walls, which makes it easy to integrate into the available space. Well merged with the surrounding, it can create a truly unique atmosphere. In the enclosed manual you will find step-by-step installation instructions. 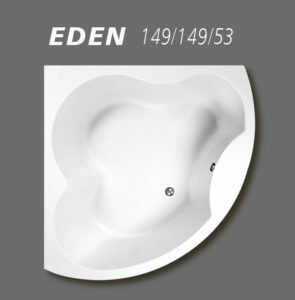 We are sure that you will be satisfied with the purchase of a corner bath from our catalogue. A long-term guarantee will help you use our product without unnecessary worries concerning a potential damage or scratching.